Monarch Air Group provides private air charter in Huntington Beach, CA. Our clients benefit from top-notch service, unrelenting dedication to safety, wide selection of aircraft, and years of experience in chartering private jets. To obtain a free quote, please use our online quoting tool provided below, or call toll free 1-877-281-3051. Monarch Air Group provides private jet charter flights in and out of Huntington Beach, California, USA. 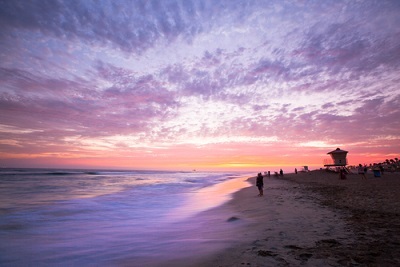 Huntington Beach is a city on the Pacific coast, to the south of Long Beach, in southern California. It is a city in Orange County. The population of the city is about 189,992 people, and the total area is 31.9 square miles. The most notable points of interest include Huntington Beach State Park, Surfriders Academy, Downtown Huntington Beach, Orange County Coast, Huntington Dog Beach, Huntington Central Park, Bolsa Chica Ecological Reserve, Bolsa Chica State Beach, International Surfing Museum, and much more. The nearest airports are John Wayne Airport (SNA / KSNA), which is located 9 miles from the city, Long Beach Airport (LGB / KLGB), which is located 19 miles from Huntington Beach, Los Angeles International Airport (LAX / KLAX), which is situated 38 miles from the city, and LA/Ontario International Airport (ONT / KONT), which is situated 48 miles from Huntington Beach. 1. Hilton Waterfront Beach Hotel, 21100 Pacific Coast Highway, Huntington Beach. 2. Aesthetyx@ Hyatt Regency Resort and Spa Huntington Beach, 21500 Pacific Coast Highway, Huntington Beach. 3. Zimzala, a Joie de Vivre Restaurant, 500 Pacific Coast Highway, Huntington Beach. 4. Shorebreak Hotel, a Joie de Vivre Hotel, 500 Pacific Coast Hwy, Huntington Beach. 5. Hilton Waterfront Beach Hotel, 21100 Pacific Coast Highway, Huntington Beach. 6. Aesthetyx@ Hyatt Regency Resort and Spa Huntington Beach, 21500 Pacific Coast Highway, Huntington Beach. 7. Zimzala, a Joie de Vivre Restaurant, 500 Pacific Coast Highway, Huntington Beach. 8. Shorebreak Hotel, a Joie de Vivre Hotel, 500 Pacific Coast Hwy, Huntington Beach. 9. Hilton Waterfront Beach Hotel, 21100 Pacific Coast Highway, Huntington Beach.